Doesn’t it look lovely ? Yes ! 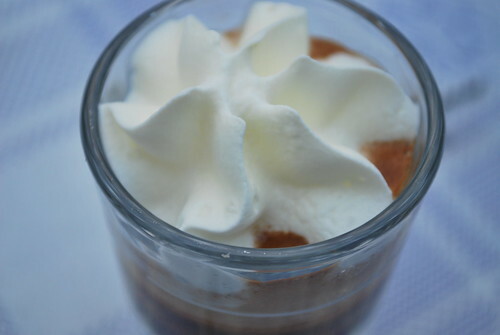 It’s another simple espresso recipe, for which you need to extract a good espresso, following all te rules of course and just top it with freshly whipped cream. I’ve got one of those flashy ISI Whippers, which basically makes fresh cream in an instant by placing single cream into a siphon and adding some gas through a specially made canister for the ISI Siphon (made famous by World renowned chefs like Ferren Adria – you’ll only know of him if you are a mad foodie). In any case, most cafes now have ISI Siphons, even Starbucks, as it is so easy to use when making coffee that requires whipped cream. You may also wish to know that ISI is actually an Austrian company and that the first place to serve coffee with cream was in….. Vienna, capital of Austria. You can also top it with chocolate sprinkles. Espresso Tazza D’Oro of course is a very Italian name, which has something to do with gold (oro), but this drink has another more famous name, Espresso Con Panna. It’s just that I like the way its not so famous name sounds, very flashy and Italian indeed, so one more time ESPRESSO TAZZA D ORO, Ciao bellissima caffe. 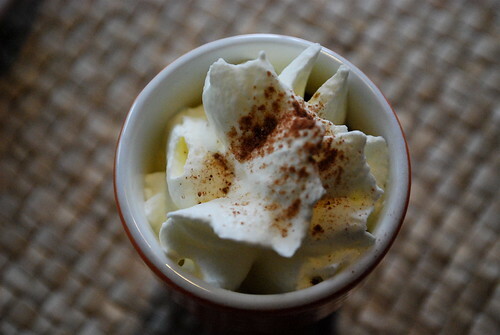 This entry was posted on Wednesday, November 18th, 2009 at 7:34 pm	and tagged with con panna, cream, espresso, tazza d'oro and posted in Coffee Recipes. You can follow any responses to this entry through the RSS 2.0 feed.